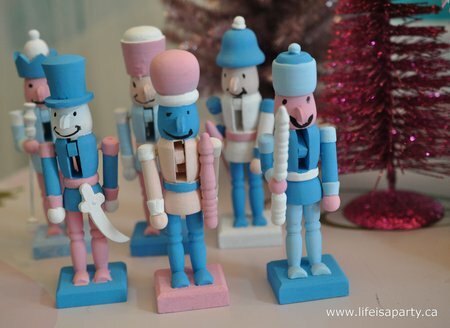 Nutcracker Themed Christmas Decorations: A little mouse army, and mouse king, paper snowflake ballerinas, and pastel coloured nutcrackers make for the perfect Nutcracker themed children’s room. I wanted to decorate my daughter’s room for Christmas. The problem is that my kids really play in their rooms, and they’re full of toys, books, games, and crafting supplies. So, in Paige’s room, I settled for one little area to set up a small Christmas vignette. She decided she wanted to go with a Nutcracker theme. This was a little challenging, but I love what we eventually came up with. We started out looking for some nutcrackers. 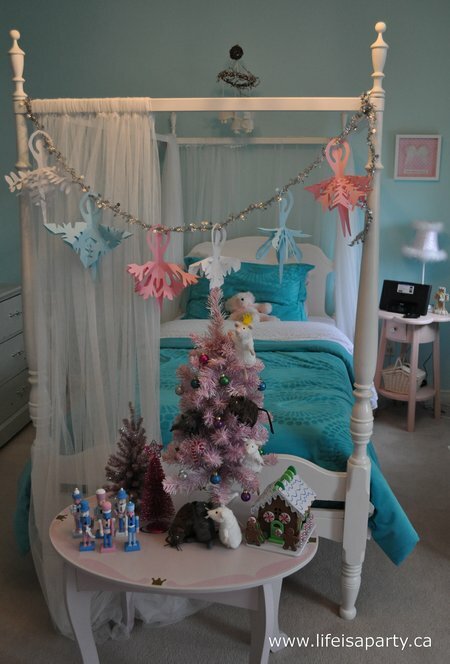 Since her room is pink and aqua, that’s the colour scheme we wanted to go with. I found a cute set of six unpainted ones that we could decorate ourselves. Instead of using the paint colours from the set, we did them all in aqua, pink, and white. I love how they turned out, especially the cute little faces and smiles that Paige gave them all. We also needed some mice and the mouse king. I found the perfect thing at IKEA. These little mice were only .99 cents, and came in white, brown and grey. We got a couple of each. 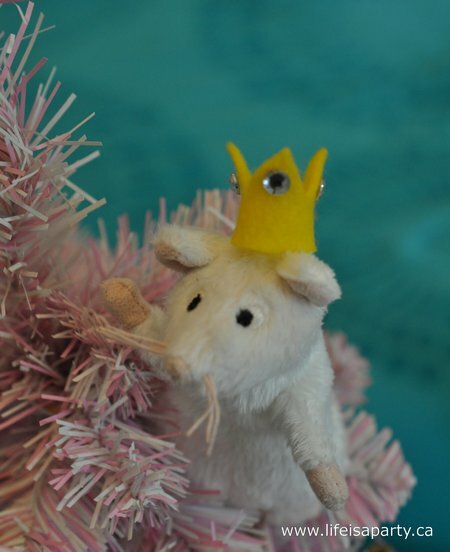 For our mouse king, I made a cute little crown out of felt and added a few gems. 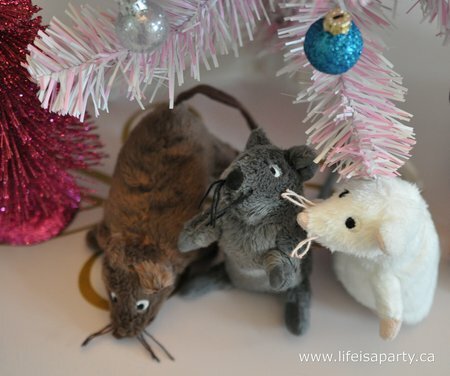 Then, we tucked the mice into and around the little Christmas tree. 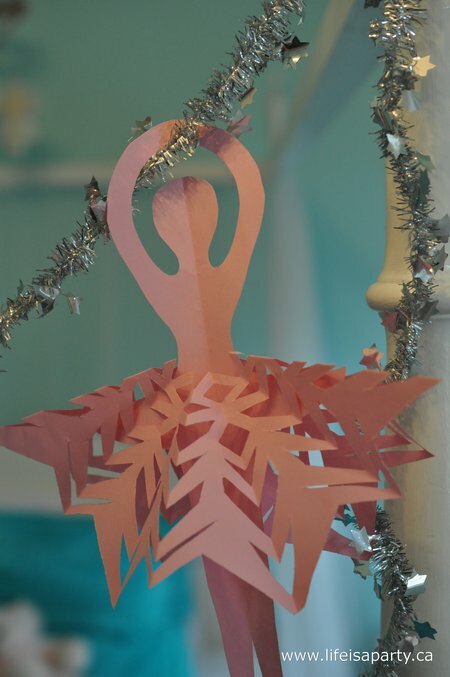 For our sugar plum fairy ballerinas, I saw the cutest idea from krokotak.com for these snowflake ballerinas. 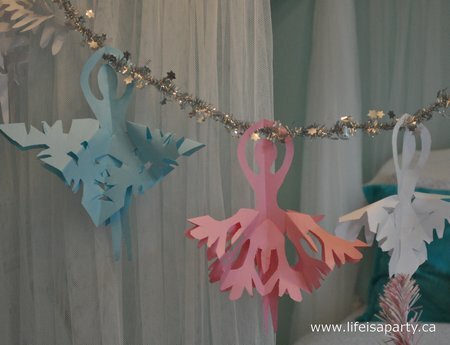 They were perfect, done in our colours of aqua, pink, and white and strung up on some silver tinsel. They really were easy enough for little hands, and they look so pretty hanging up. 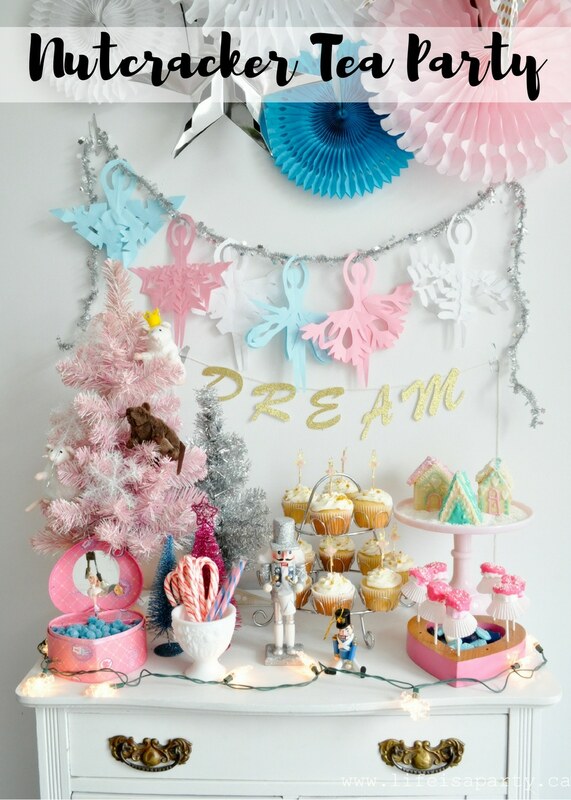 With pretty, Nutcracker Themed Christmas Decorations for a little girls room like this, life really is a party! This is so adorable! 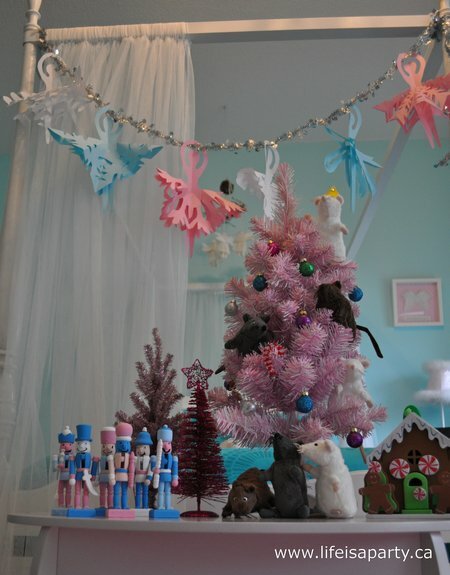 I love that you decorated your daughter’s room for Christmas! The little mouse king is particularly sweet. I have seen those ballerinas and thought of making them…you just provided the extra inspiration to do so! Thanks for sharing!